The UFC is, beyond the shadow of a doubt, the world's premier Mixed Martial Arts organization today. Considering that, it wouldn't really come as a surprise to many, that the promotion churns out several amazing MMA fights on an annual basis. From exhilarating knockouts to mind-numbing submissions; masterful decision victories, to all-out brawls; this sport gives fight fans everything they desire with regard to beautiful violence. On that note, the 2018 calendar year has been quite special thus far, and with a few more days left, it may perhaps provide us more old-school showdowns...entertainment galore. Today, we take a special look at the craziest UFC fights in 2018. 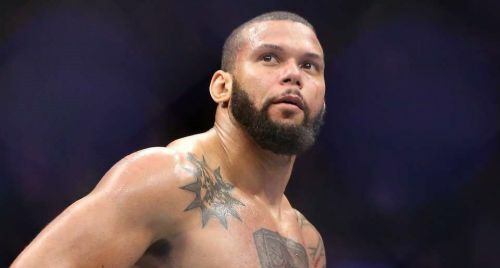 Recently having moved up from Middleweight to the Light-Heavyweight division, Thiago Santos has lately impressed one and all with his new-found zest in the 205-pound weight-class. "Marreta" recently took on British KO artist Jimi Manuwa at UFC 231, and engaged in what many feel was the greatest 2-round fight in MMA this year. Santos hurt Manuwa in one of the early boxing exchanges, and from there onward, the entire fight was characterized by wondrous madness, as the two hulking fighters threw caution to the wind in front of the fans in attendance and for the millions watching around the world. Intriguingly, Manuwa was dropped again in the first round, but still somehow managed to catch Santos with a counter elbow and a few clean punches. Needless to say, the elbow connected flush on Santos' chin, and seeing his opponent wobbled, Manuwa rushed in for the kill. Nevertheless, Santos, to his credit, threw wild, looping haymakers whilst likely hoping that one of them hits his British foe. The round ended with both exhausted fighters battling on the mat in a stalemate of sorts. Round 2 then commenced, and Santos connected with a series of beautiful punches on his foe, albeit eating a few good shots on the way in. 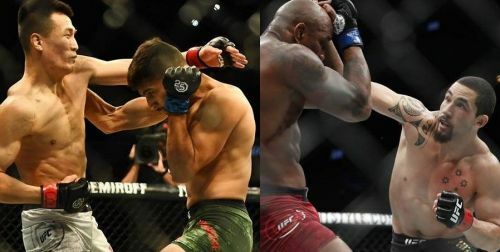 The end came in the second round itself, when Santos trapped Manuwa against the fence, landed a huge left uppercut, and then followed up with a monstrous left hook that sent Manuwa crumpling face-first on the mat. Santos won the fight by way of KO, and the crowd rightfully gave both warriors a standing ovation for their amazing performances.